In today’s Wall Street Journal “Sightings” column I take note of the contemporary relevance of Robert Penn Warren’s All the King’s Men. Here’s an excerpt. Political novels aren’t what they used to be, no doubt because truth really is stranger than fiction nowadays. But three of the top-selling American political novels of the 20th century, Allen Drury’s “Advise and Consent,” Edwin O’Connor’s “The Last Hurrah” and Robert Penn Warren’s “All the King’s Men,” continue to be read and remembered to this day, doubtless in part because they were all turned into Hollywood movies. Alas, none of those movies was worthy of its source material, not even Robert Rossen’s 1949 film version of “All the King’s Men,” which won a best-picture Oscar. 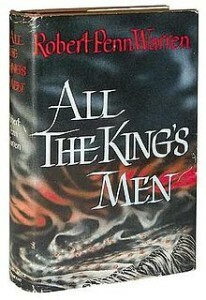 Mediocrity is, of course, the usual fate of good novels that make it to the big screen, but it’s especially disappointing in the case of “All the King’s Men,” which is more relevant today than ever before. It goes almost without saying that Rossen was lost before he started. 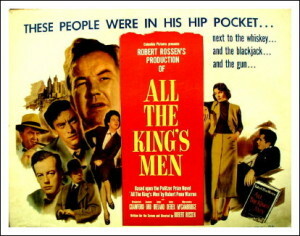 No film can convey more than a sliver of the essence of a great novel, and “All the King’s Men,” which was inspired in part by the career of Huey Long, ranks among the greatest. This is all the more remarkable because it is about politics, a subject notorious for turning the brains of artists into mush. Yet there is nothing sentimental about Warren’s portrayal of Willie Stark, a Long-like Louisiana politician who seeks power to do good and is ultimately destroyed by it…. An idealistic young reformer turned ruthless operator, Stark’s life is changed utterly when he comes to the reluctant conclusion that all men, however honorable they may seem to be, are both corrupt and corruptible: “Man is conceived in sin and born in corruption and he passeth from the stink of the didie to the stench of the shroud.” This leads him to treat any political means, however illegal, as acceptable so long as the end is sufficiently desirable…. But the reason why “All the King’s Men” is of immediate interest can be found in the scene in which Stark addresses a crowd of poor white farmers who care nothing for politics or politicians, having decided that Louisiana will always be ruled by the rich. His first words fill them with resentment: “Friends, red-necks, suckers, and fellow hicks.” But then he surprises them: “That’s what you are. And me—I’m one, too. Oh, I’m a red-neck, for the sun has beat down on me. I’m a sucker, for I fell for that sweet-talking fellow in the fine automobile….nobody ever helped a hick but the hick himself. Up there in town they won’t help you. It is up to you and God, and God helps those who help themselves!” By identifying with their feelings of powerlessness and promising to “nail up anybody who stands in your way,” he forges them into a populist alliance that puts him in the governor’s mansion. Does this perhaps have a familiar ring? If it doesn’t, your TV is broken…. 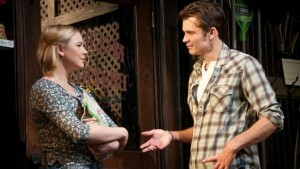 For jealousy dislikes the world to know it.